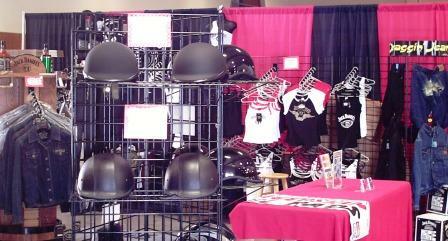 J. Lee & Associates / Power-Reps is designed to service the powersports industry at the dealer level. POWER-REPS provides top-notch service to the Powersports Industry manufacturers. We offer a complete market strategy for penetration of powersports dealers in a targeted geographical area for manufacturers. Our complete package encompasses Marketing, Dealer Service, Display, Sales and Sales Follow-up along with great customer support - a combination that can't be beat! Currently we cover the Southern California, Arizona (Phoenix - Scottsdale - Tucson) and Nevada (Las Vegas - Henderson - Reno) markets. We plan to add the Northern California market in 2007, and expand geographically as business permits with a long-term goal to offer nationwide coverage. Our Target market segments include V-Twin dealers, franchise Harley-Davidson dealers, independent service dealers, independent accessory dealers and franchise metric dealers (Suzuki, Honda, Yamaha, Kawasaki). Through our commitment, experience, and expertise POWER-REPS continues to establish and maintain business relationships with our customers that will last a lifetime!